Pelsue was founded in Denver, Colorado in 1963 by T. Allen Pelsue, who conceived a solution to prevent water from flowing into manholes while workers were installing or maintaining cables. His innovative manhole guard was widely accepted by the industry and the company was firmly established. Throughout the 1960’s and 70’s, Pelsue grew steadily through the successful introduction of complementary product lines, which included work tents, portable heaters/ventilators, and custom work vehicles. 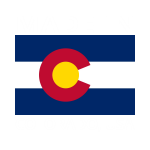 During this time, the company grew from a few employees to close to 40, and relocated to its current Englewood, Colorado location. By the 1980’s, fiber optic cables began to take over as the new technology for transferring data. The splicing of this new technology required a controlled environment – free from ultraviolet rays, dust and humidity. Seeing this need, Pelsue developed a range of fiber optic splicing trailers, vans, and trucks for the telecommunications companies and their contractors. The vehicles quickly became the industry standard due to their superior functionality, reliability, and long-term value. Demand for Pelsue products increased steadily through the 1990’s, driven by the rapid growth of the internet. Beginning in early 2000, however, technology stocks rapidly lost value, which triggered an immediate pullback of telecom infrastructure activities. These challenging market conditions led Pelsue to diversify its business, building chemical decontamination trailers for the military and standby generators for power outages. Later, the company also entered the fall protection market through an acquisition. In 2008, Pelsue purchased a second assembly plant in Lamar, Colorado to build a new series of lightweight fiberglass trailers. The new fiber optic splicing trailers were an immediate success. More recently, this fiberglass body has also been used to create a satellite communications trailer for use in areas without cellular coverage – including in emergency situations following natural disasters. To further strengthen Pelsue’s commitment to quality and customer focus, the company achieved and has held ISO 9001 quality management system certification since 1996. Beginning in 2016, Pelsue began implementing LEAN manufacturing practices to further improve quality, reduce lead-times, and increase customer value. It is also noteworthy that all of Pelsue’s products are designed to provide 10+ years of use, and are fully supported with replacement parts and service–unlike cheap imitations that prematurely end up in landfills. When you purchase a Pelsue product, you can be assured that you are doing your part to protect the environment.